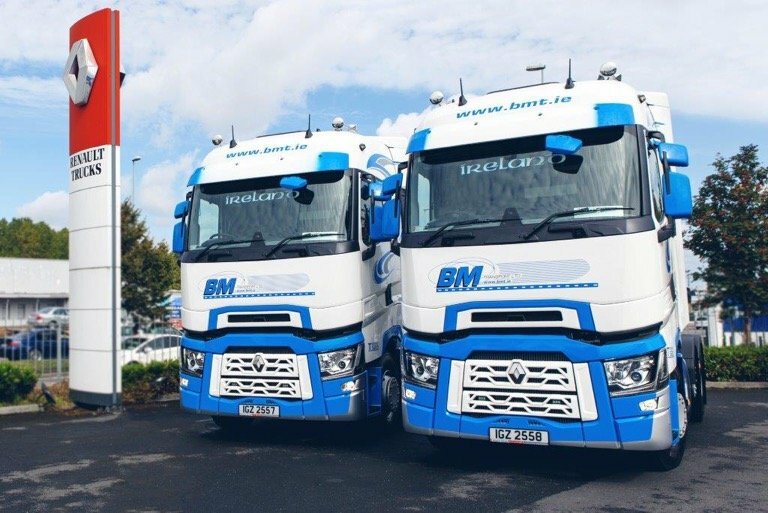 The 520hp tractor units fits right in with its 100-strong truck BM Transport fleet. These completely flat floor trucks come equipped with heated leather seats, pneumatic sliding 5th wheel, lane departure warning and rear work-spot lamps. These trucks which will undertake regular Cross-Channel work stand out in the company’s distinctive blue and white livery, supplied by Tierney Motors and paint-work by NJS Autos.